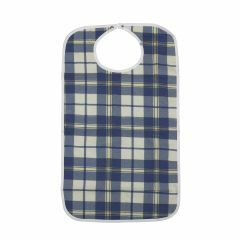 AllegroMedical.com presents The Lifestyle Flannel Bib. The Lifestyle Essential's Large Flannel Bib Provides outer layer with water repellent lining. Snap closure. Machine washable.